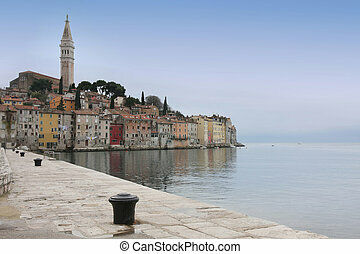 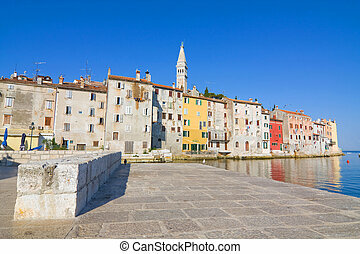 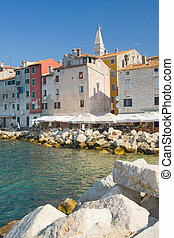 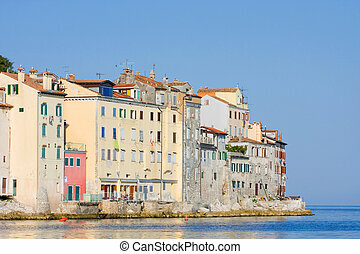 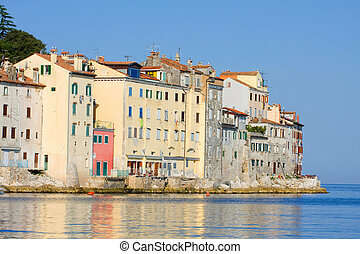 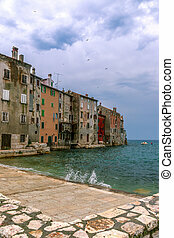 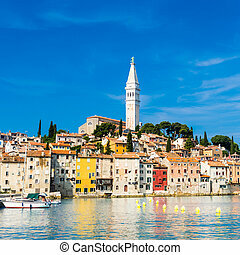 Coastal Town Of Rovinj, Istria, Croatia. Romantic Rovinj is a town in Croatia situated on the north Adriatic Sea Located on the western coast of the Istrian peninsula, it is a popular tourist resort and an active fishing port. 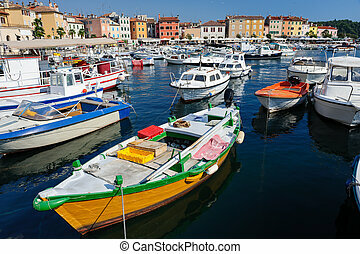 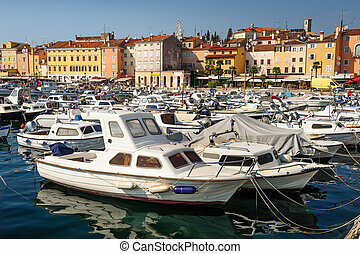 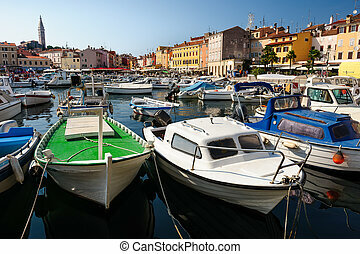 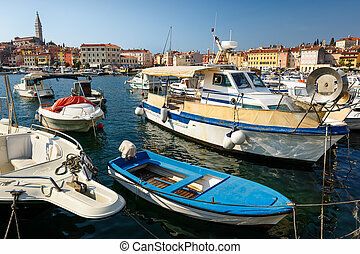 Boats in marina of Rovinj, Istria, Croatia. 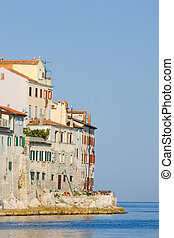 Typical mediterranean seaside town. 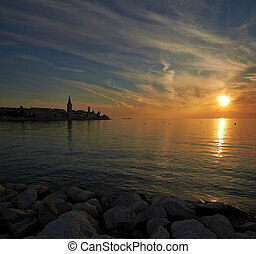 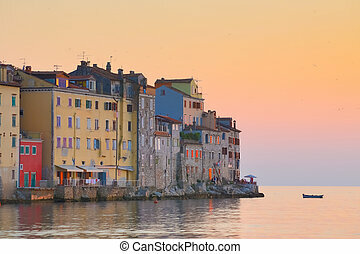 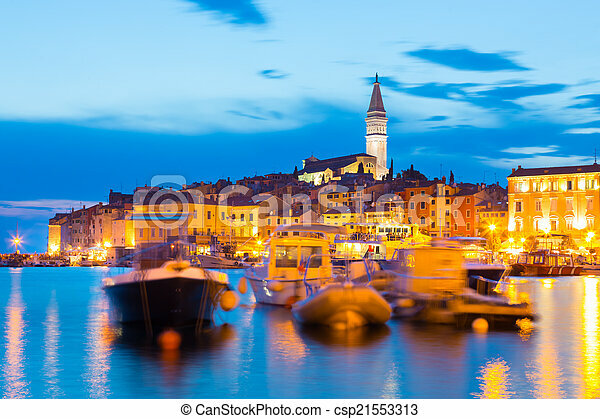 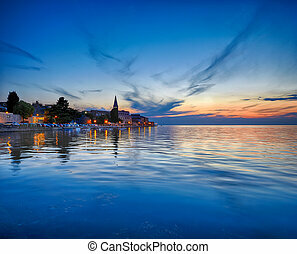 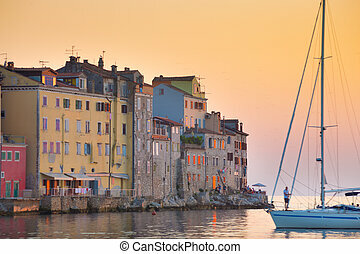 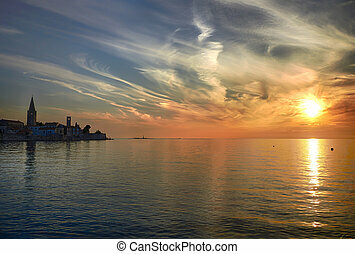 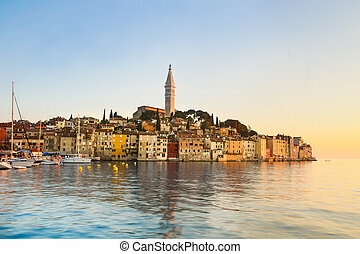 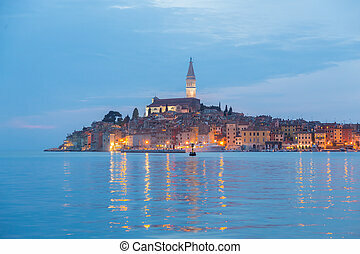 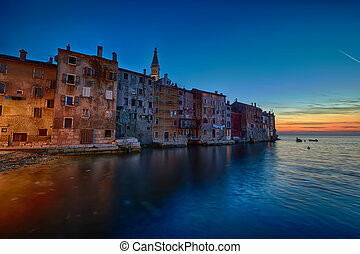 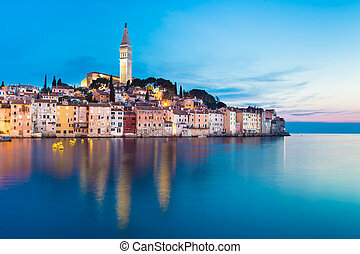 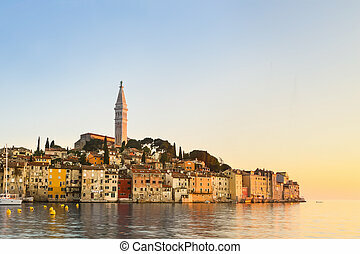 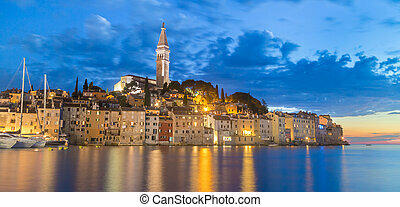 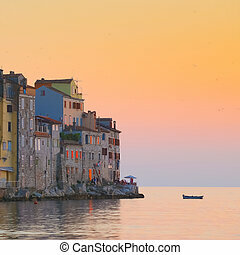 Coastal town of Rovinj, Istria, Croatia in sunset. 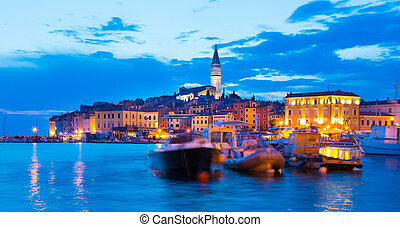 Romantic Rovinj is a town in Croatia situated on the north Adriatic Sea Located on the western coast of the Istrian peninsula. 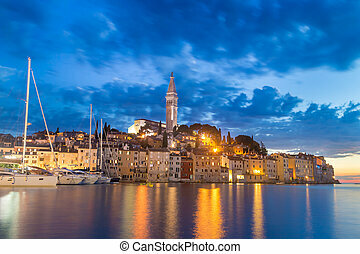 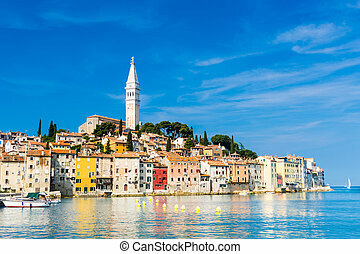 Rovinj is a city in Croatia situated on the north Adriatic Sea Located on the western coast of the Istrian peninsula, it is a popular tourist resort and an active fishing port.